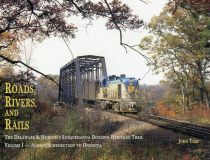 Brand new (Dec. 2010) third edition of this indispensable guide to abandoned and lost railroads of the six-state New England region. A comprehensive pictorial record of the history of the narrow gauge railroad in Maine. The pictorial history of the streetcar transportation system in Manchester, New Hampshire's largest city. 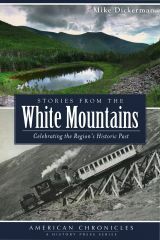 A new illustrated history of New Hampshire's famous mountain climbing train, the Mount Washington Cog Railway. 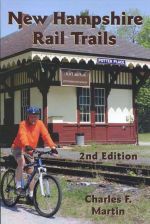 A new (2016) updated and revised edition of the most comprehensive guide ever to the Granite State's many rail trails. 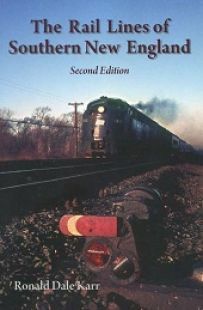 The must have new second ediiton of Ronald Dale Karr's thorough guide and handbook to the common carrier rail lines of Massachusetts, Connecticut and Rhode Island. A fascinating new book looking back at the cut-throat battles between competing railroad interests in nineteenth century New York State. Used copy of book looking back at railroading and its impact on American history and culture. The long-awaited second volume in author John Taibi's illustrated history of the Deleware and Hudson's Susquehanna Division Heritage Trail. A great new railroading book chronilcing the history of the Delaware and Hudson's Susquehanna Division line between Albany and Oneonta, New York. Features more than 500 color and black & white images and illustrations. 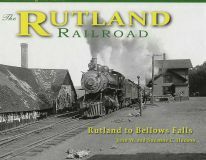 A great new illustrated history of the Rutland Railroad between Bellows Falls and Rutland, Vermont. A nostalgic look at the history of the St. Louis Union Statioi, the spectacular building that was once the largest train station in the world. A used copy in good condition. In this collection of historical pieces by the well-known guidebook author and publisher, Mike Dickerman covers a lot of ground, from the logging railroad era of the late 19th and early 20th centuries, to the Hurricane of 1938, and from the grand hotel era of yesteryear to tragic plane accidents in the region. 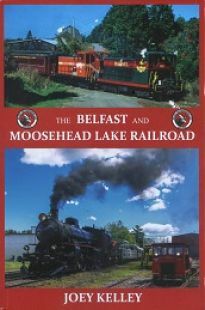 A new illustrated history of the 150-year-old Belfast and Moosehead Lake Railroad in northern Maine. A good used copy of author Donald Bray's hard-to-find history of the Mount Washington Cog Railway, published in 1984. 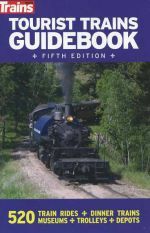 The new fifth edition of this invaluable guide to train-related attractions across the U.S., including New Hampshire's famed Mt. Washington Cog Railway.